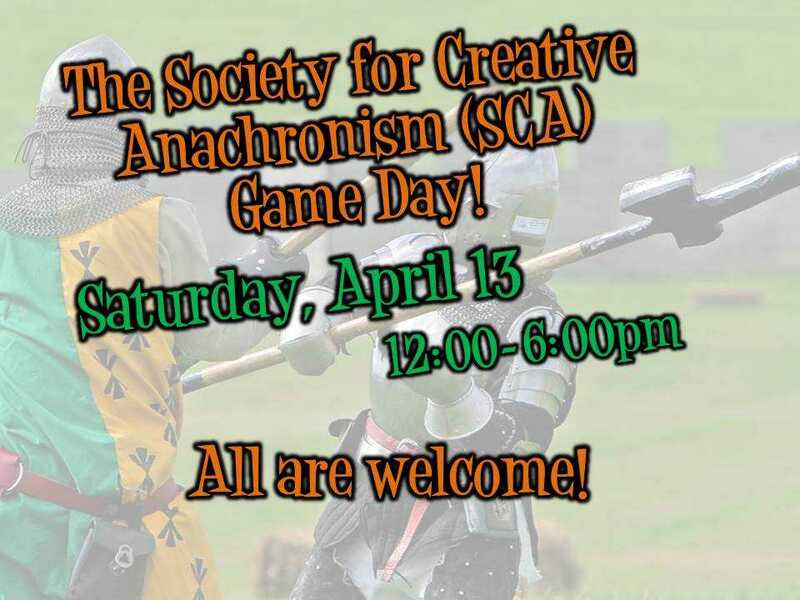 Come join members of the SCA (SCAdians) dressed in full costume and learn to play some of the games from medieval times! The SCA members will be at the event to teach and play these games with anyone who is interested and you can learn about the SCA from them, as well! They will be bringing some items from the organization such as dulled weapons, scrolls, clothing and crafts. Prizes available for the games!